If you're moving to another country with your pet, you're going to have to transport them across an international border. This article takes you through the experience with information on crossing the border between Canada and the U.S. and will also be helpful if you're flying your pets overseas to another country where quarantine might be necessary. To find out about quarantine and other restrictions, contact the country's consulate and make sure you ask the appropriate questions. Don't wait for the move to become a reality before you call as some countries require vaccinations up to six months prior to departure. Many consulates post this information on their website, but it's always best to follow up with a phone call or email just to make sure you're clear on the rules and that all your questions are answered. Travel between Canada and the U.S. is fairly straight forward with most custom agents not even checking for paperwork. However, do have everything you need just in case. Customs can be much stricter when your cats fly on their own than if you fly with them or cross the border via car. Also, crossing from Canada to the U.S. is fairly straight forward and the custom agents will most likely not ask for papers or documentation. Moving from the U.S. to Canada, however, you may need to produce all documentation and even pay duty depending on whether customs considers your pets "valuable", that is, that you might sell them for a profit once you cross over. Make it clear that your pets will not be sold and that they're rescues (if they are) and that they're your beloved pets. If you're moving to Canada, check out the Canada Food Inspection's site where they outline the rules for importing pets. For anyone moving to the U.S., check out the US Agriculture website that outlines the rules and regulations for importing pets with links to the Centers for Disease Control that outlines restrictions and vaccinations required. The good news for us is that the U.S. does not require any vaccinations for cats. But just because the federal government doesn't require vaccines, you'll still need to check the state you're moving to, to find out what is required. If you're crossing the U.S. border from Mexico or from the U.S. to Mexico, you shouldn't have any problem if you're crossing via car rather than flying. Again, flying is trickier. If you fly with your pet on the same flight – either with you in the passenger section or as special baggage – and you may find that customs on both sides require you remove the pets from their carrier so the carrier can be inspected. This isn't so difficult with dogs, but cats can be problematic if your kitty gets scared. Make sure you hang on to them tightly so they don't get lose. If you're driving, you'll probably find that no one will check the health certificates, however, it's always best for your pet that you follow the vaccination and health check rules. 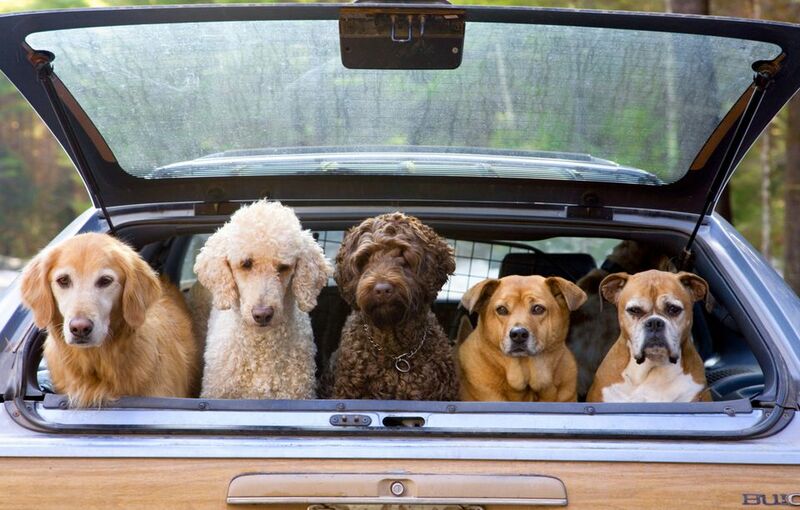 Not only will that ensure that you can cross the border without too much hassle, it also means your pet is protected. If you're moving to a country that has greater restrictions, such as quarantine, you really need to make sure you know the rules, including where your pet will be kept, then talk to your veterinarian to see if your pet is healthy enough to endure the time they'll have to be quarantined.